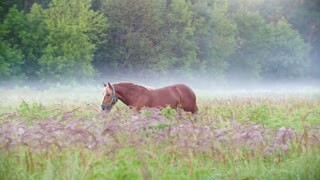 Brown horse eating grass and walking at rural field. 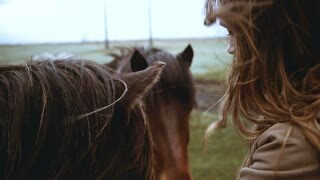 Close-up view of young happy woman stroking brown Icelandic horse grazing on the field. 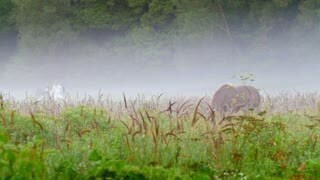 Tourist walking on nature.